Called into service October 9, 1864, to repel Price's invasion. Action at Byram's Ford, Big Blue, October 22. Westport October 23. Disbanded October 29, 1864. Called into service October 9, 1864, to repel Price's invasion. Disbanded October 29, 1864. Called into service to resist Price's invasion. Action at Big Blue October 22. Westport October 23. Disbanded October 29, 1864. Called into service to repel Price's Invasion. Action at Big Blue October 22. Westport October 23. Disbanded October 29, 1864. Organized at Fort Leavenworth July 28, 1864, for 100 days. Attached to District of North Kansas. Company "A" ordered to Fort Riley, Company "C" to Cottonwood Falls and Company "D" at Lawrence. Operations against Price October-November. March to relief of Mound City. Mustered out November 16, 1864. Called into service October 9, 1864, to repel Price's invasion. Action at Little Blue October 21. Disbanded October 29, 1864. 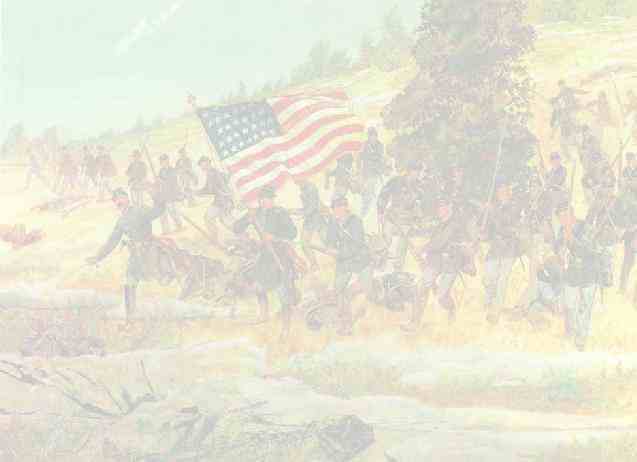 Called into service to repel Price's invasion October 9, 1864. Action at Byram's Ford, Big Blue, October 22. Westport October 23. Disbanded October 29, 1864. Called into service October 9, 1864, to resist Price's invasion. Action at Big Blue October 22. Westport October 23. Disbanded October 29, 1864. Called into service October 9, 1864, to repel Price's invasion. Duty at Fort Leavenworth. Disbanded October 29, 1864.